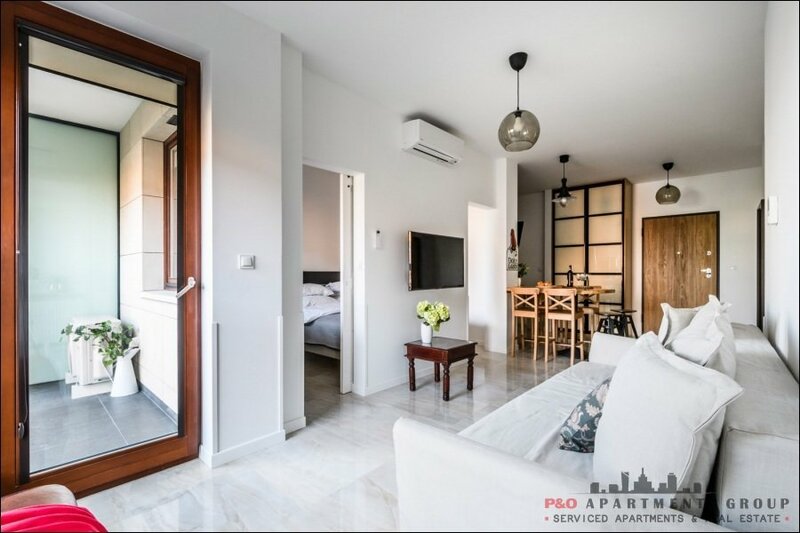 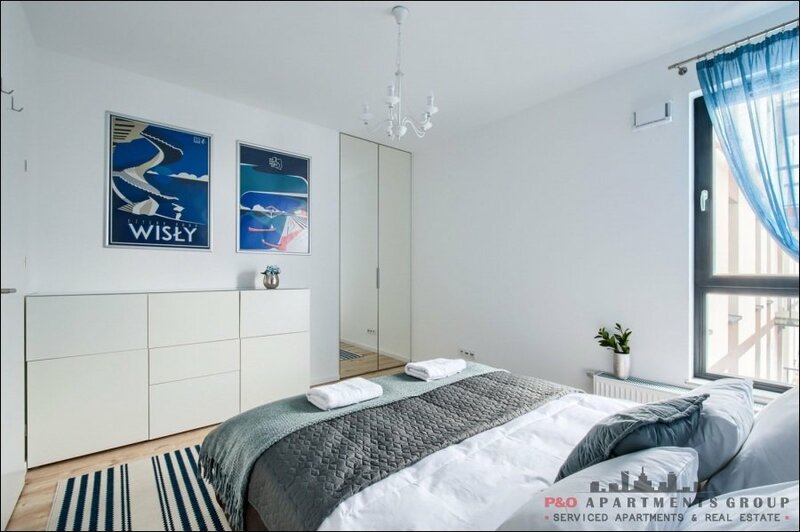 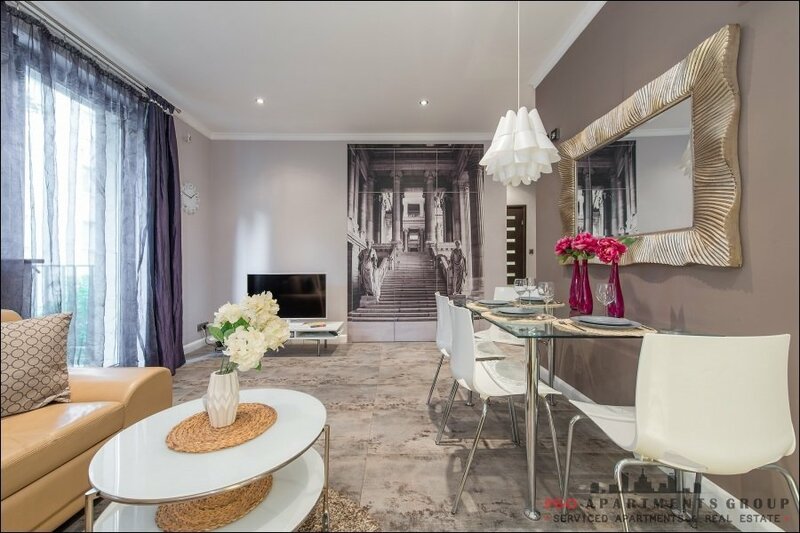 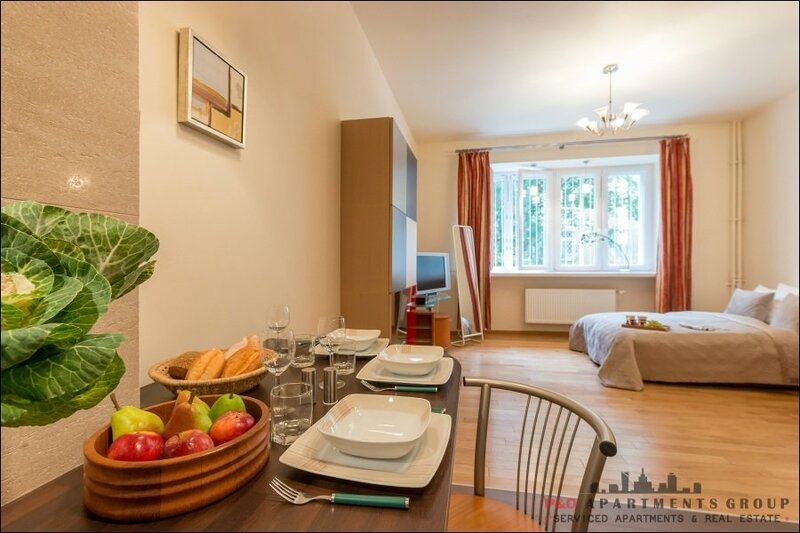 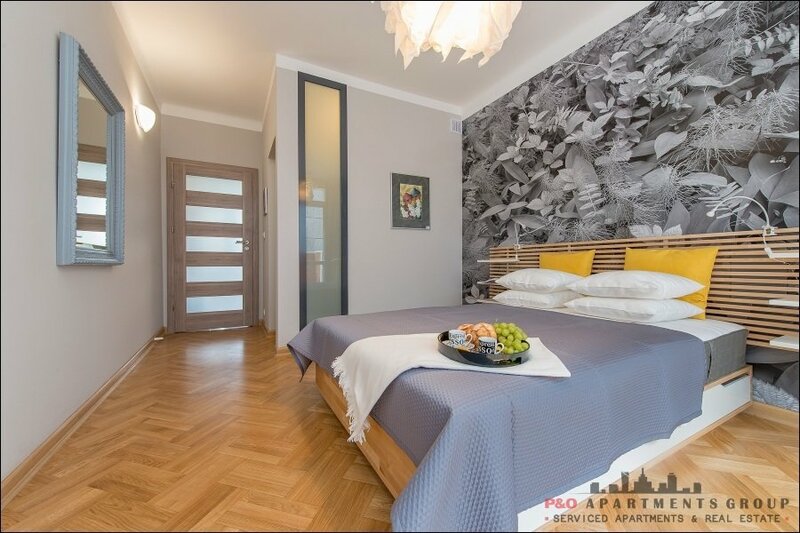 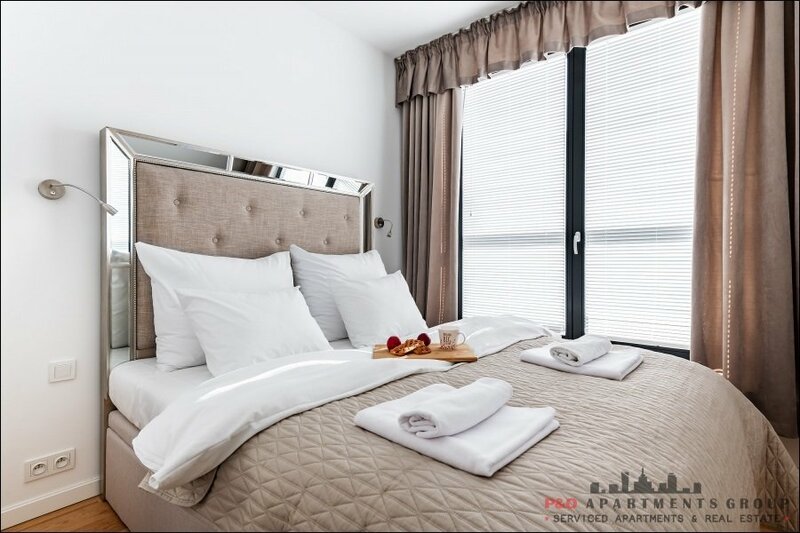 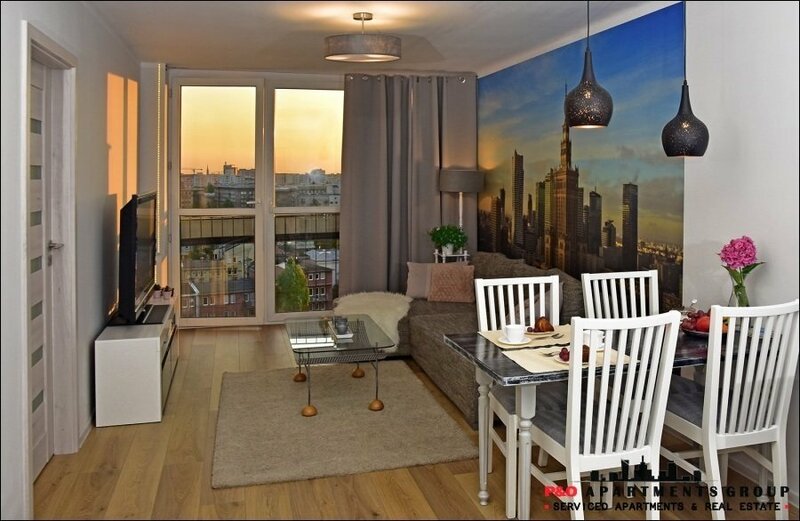 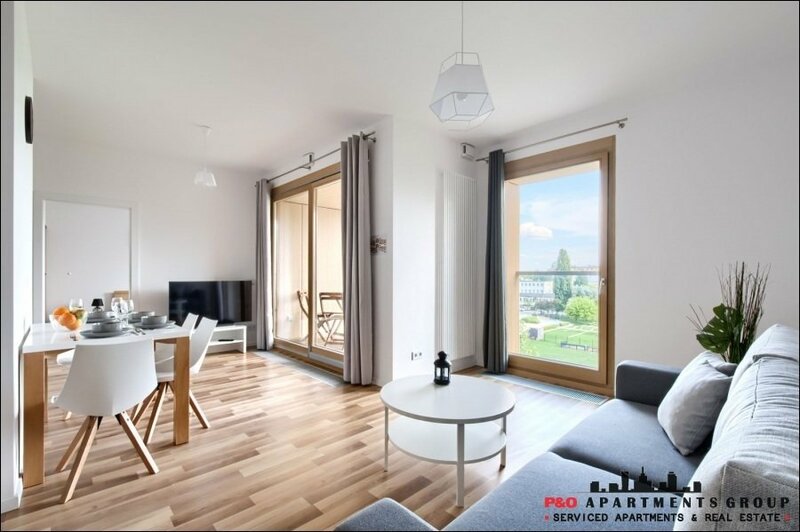 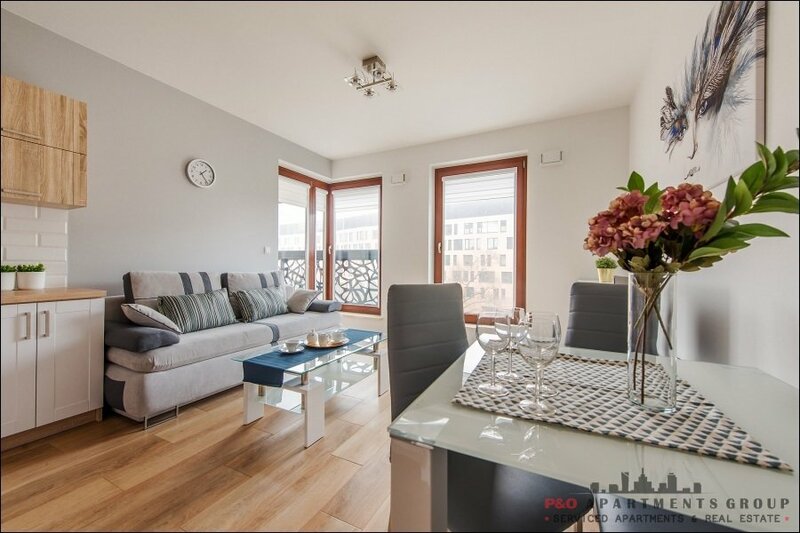 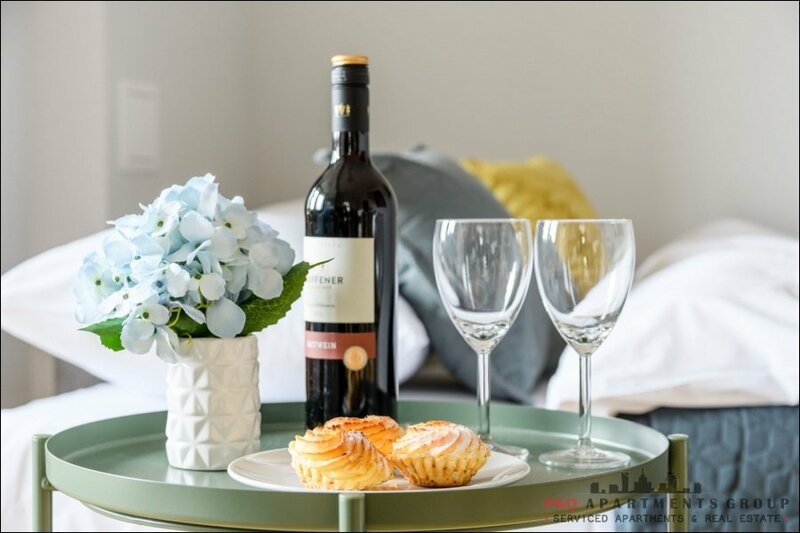 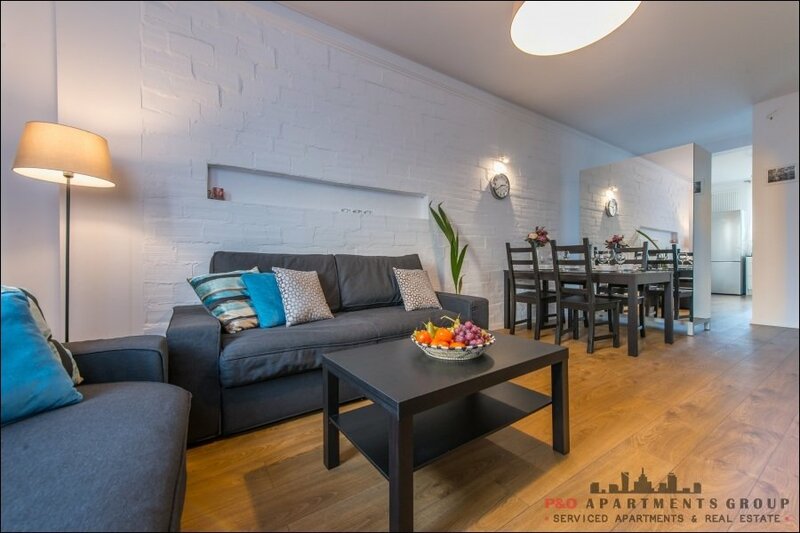 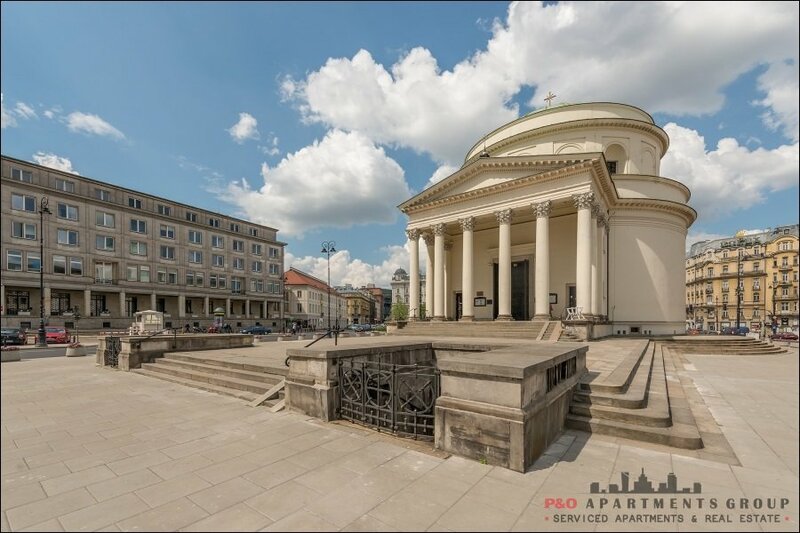 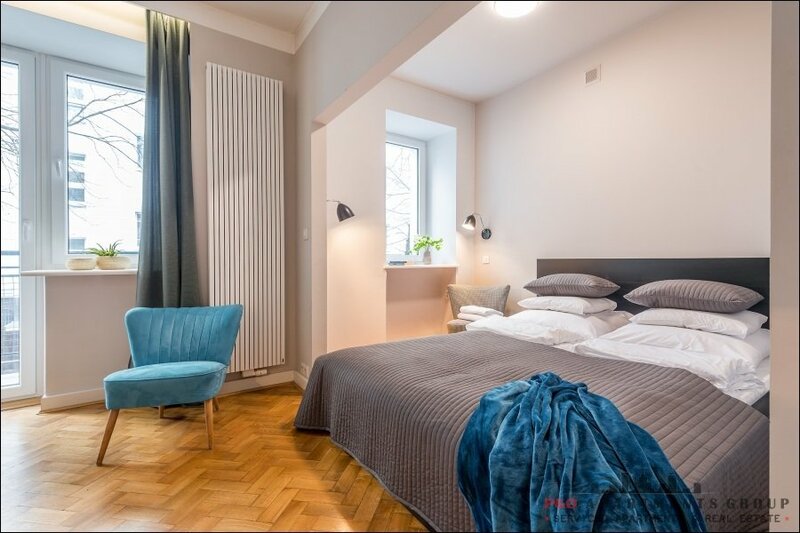 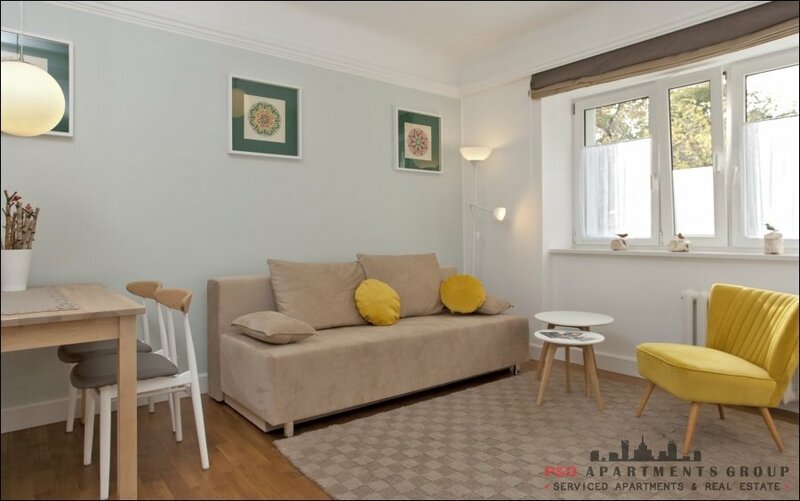 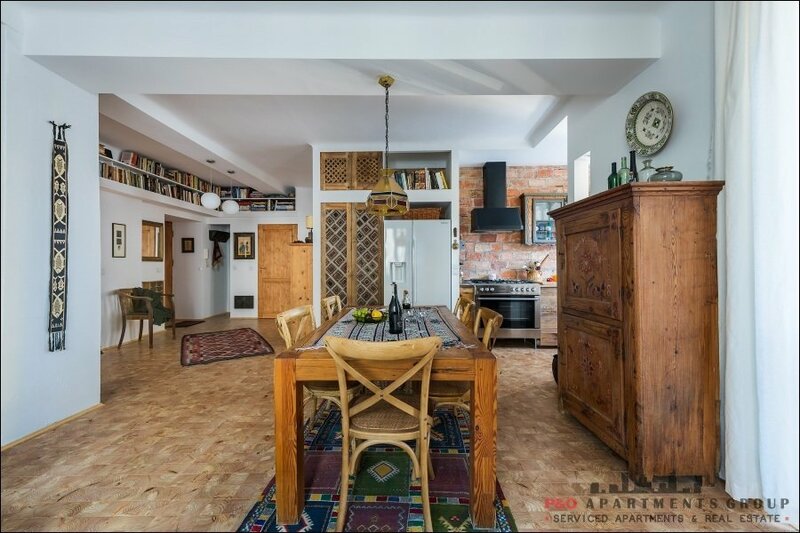 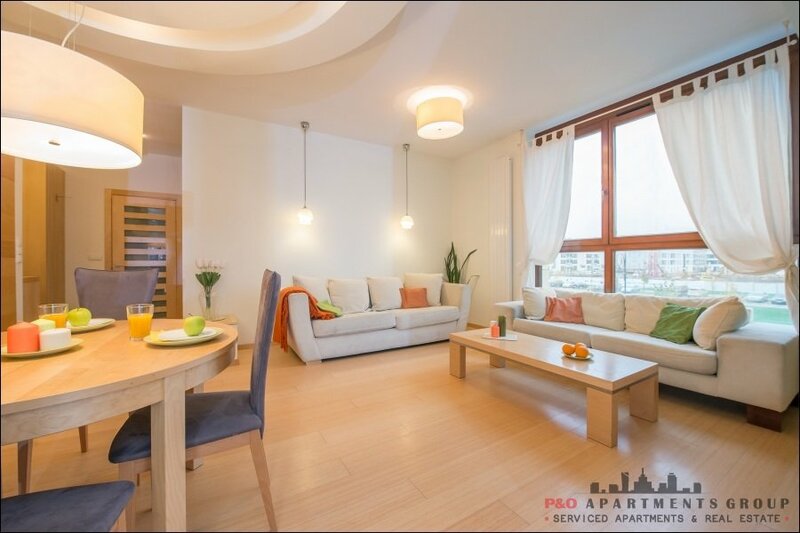 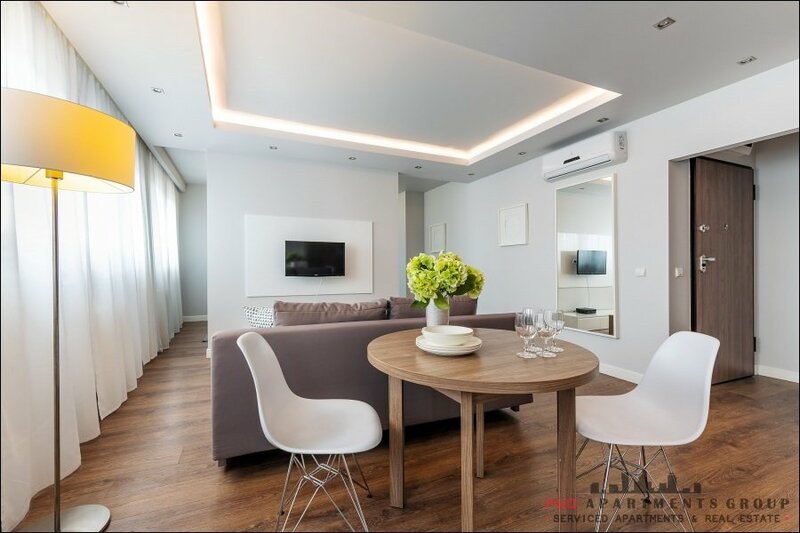 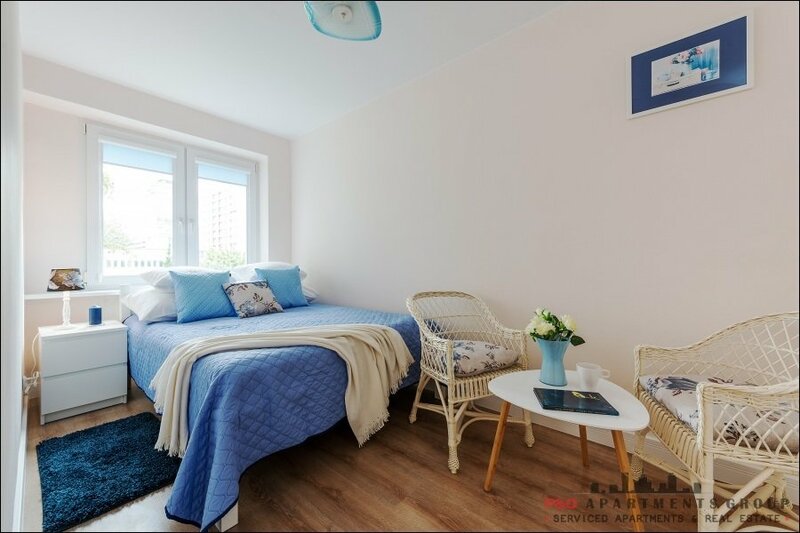 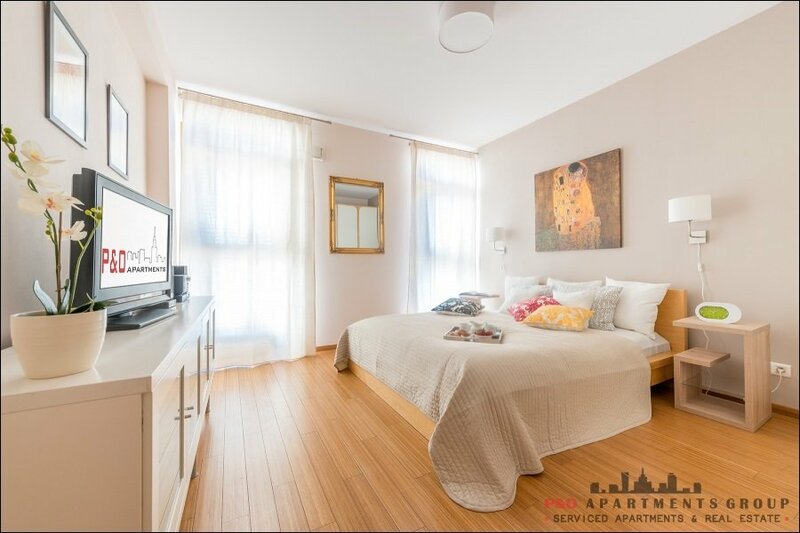 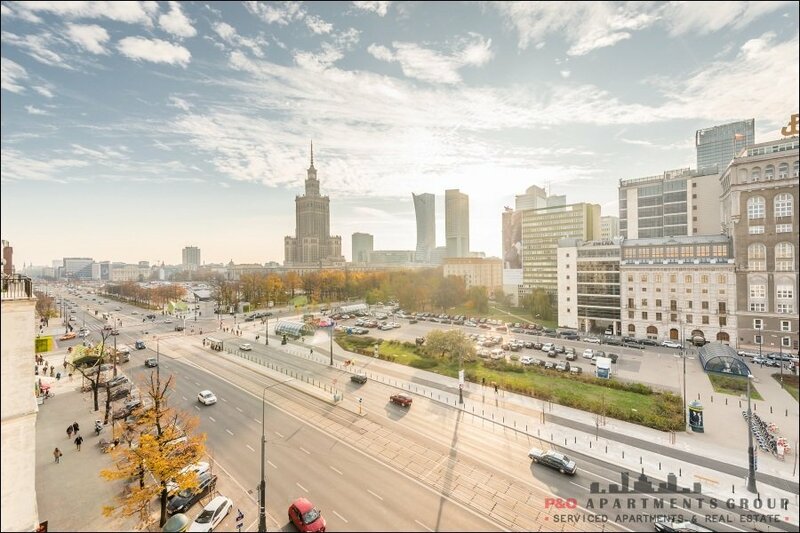 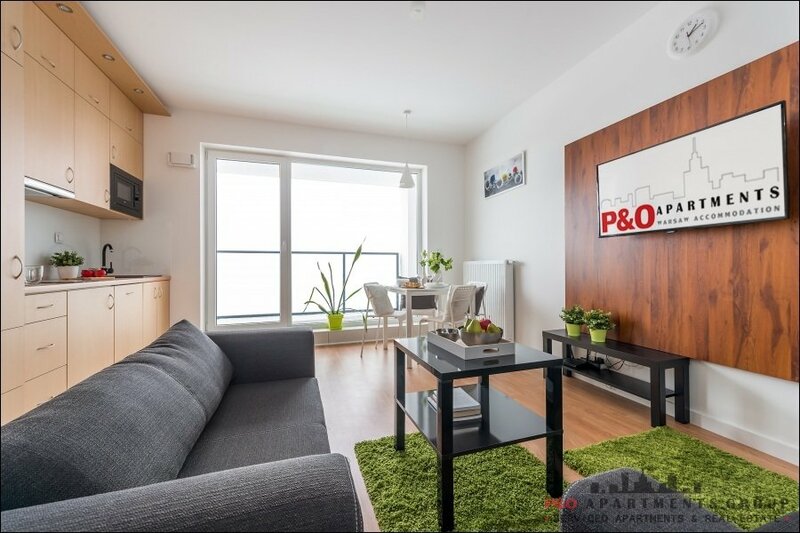 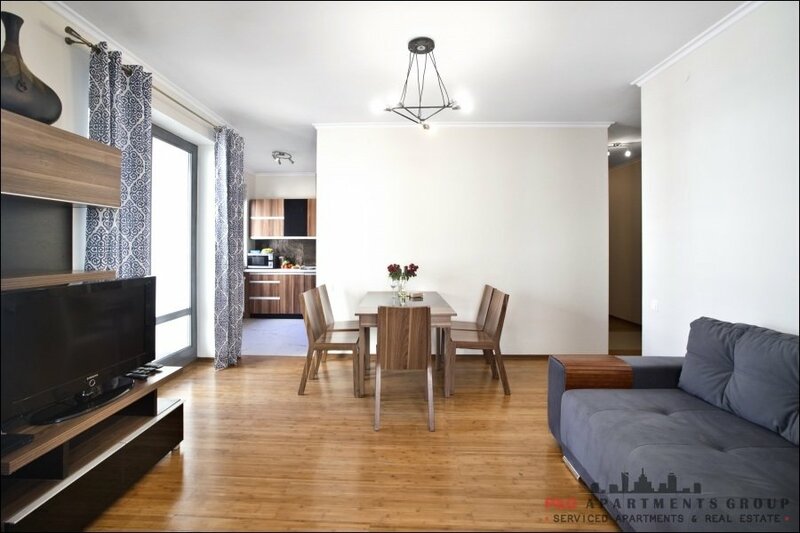 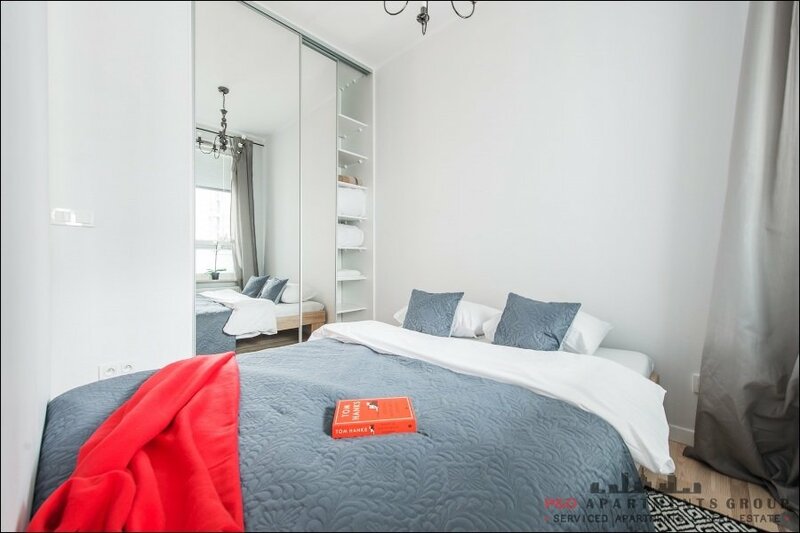 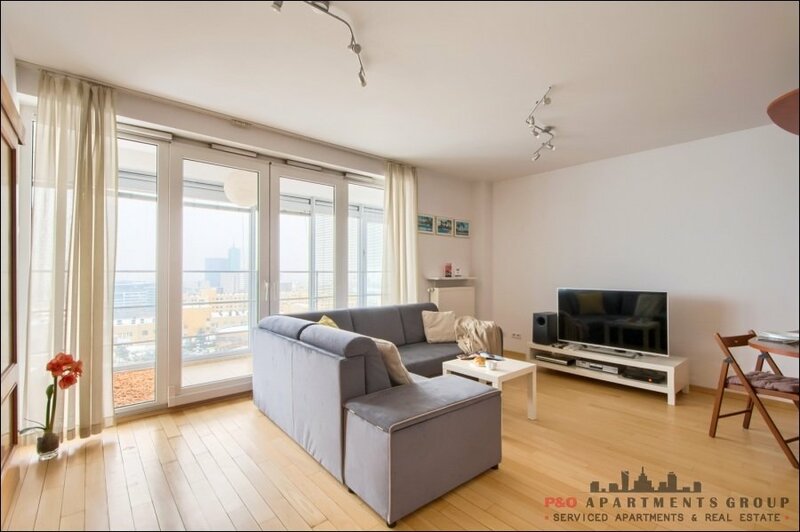 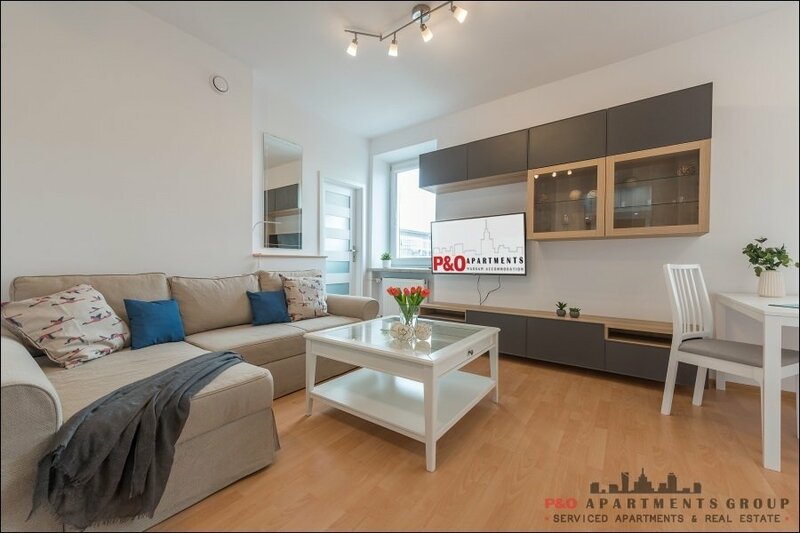 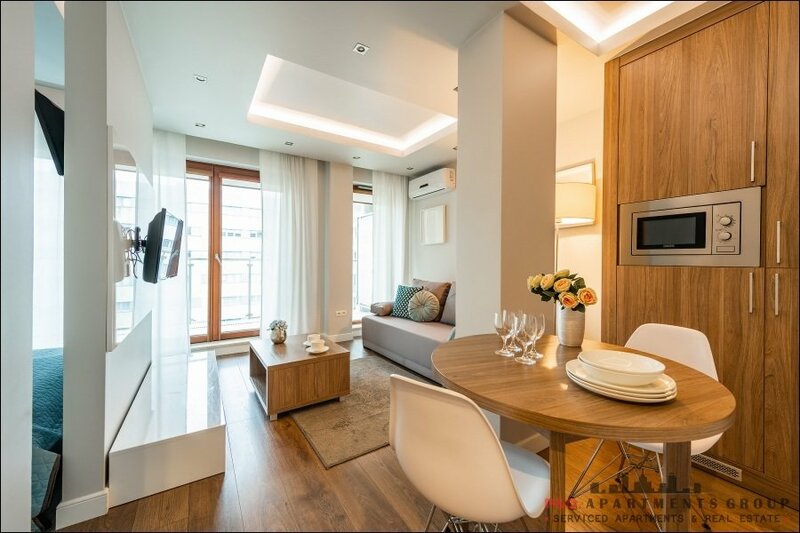 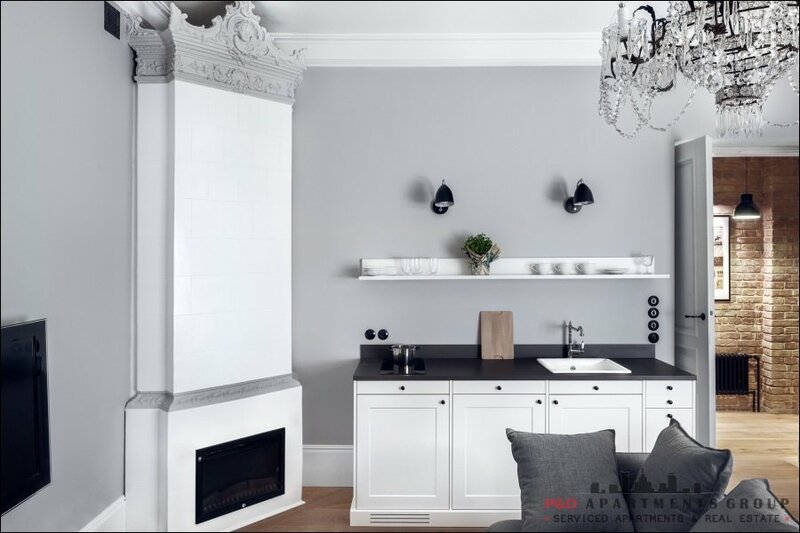 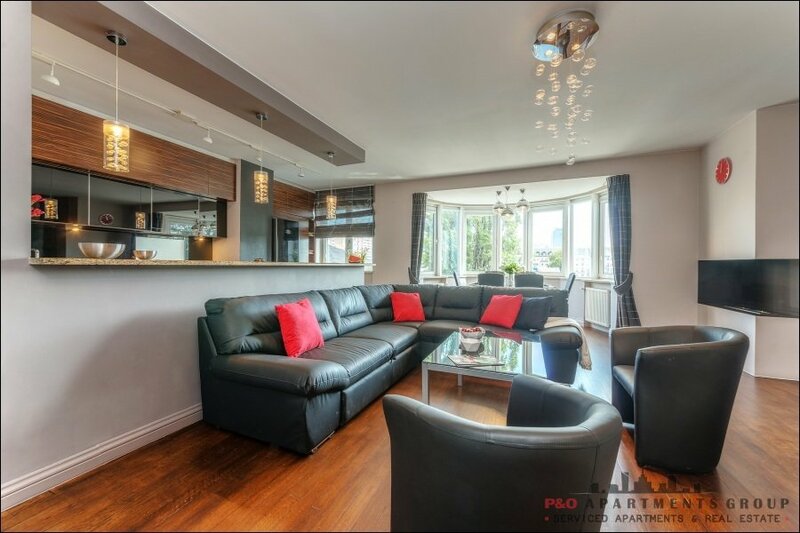 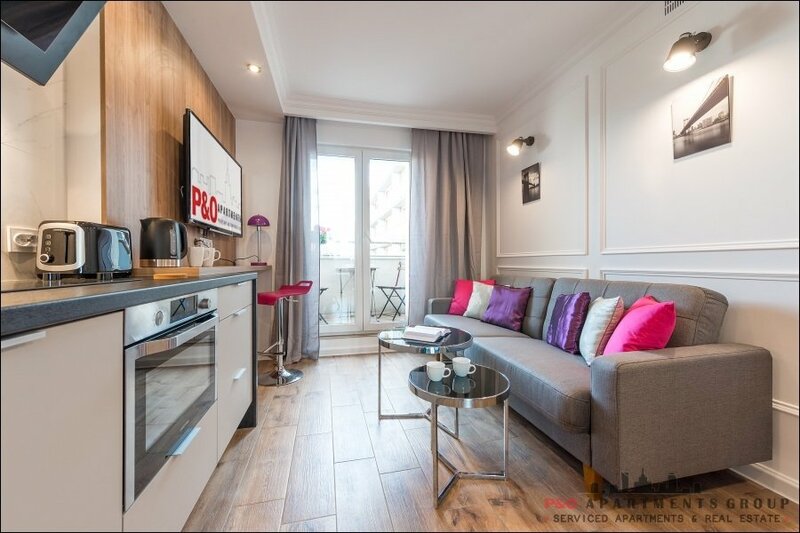 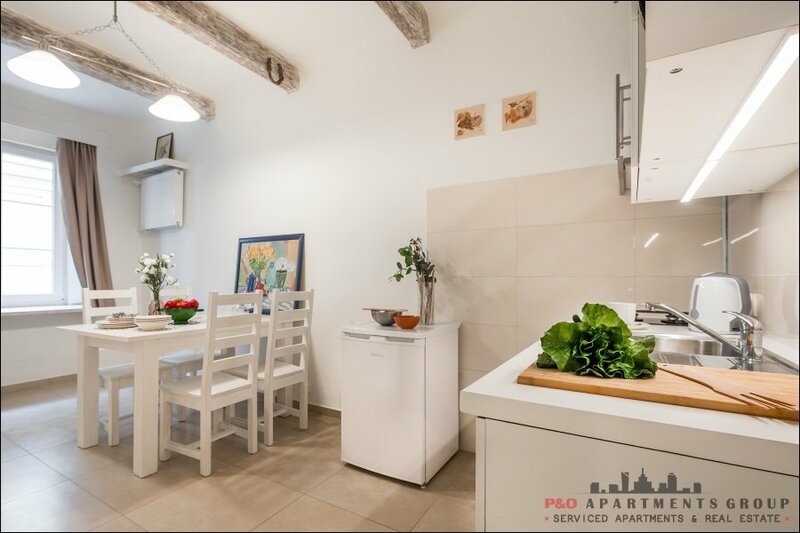 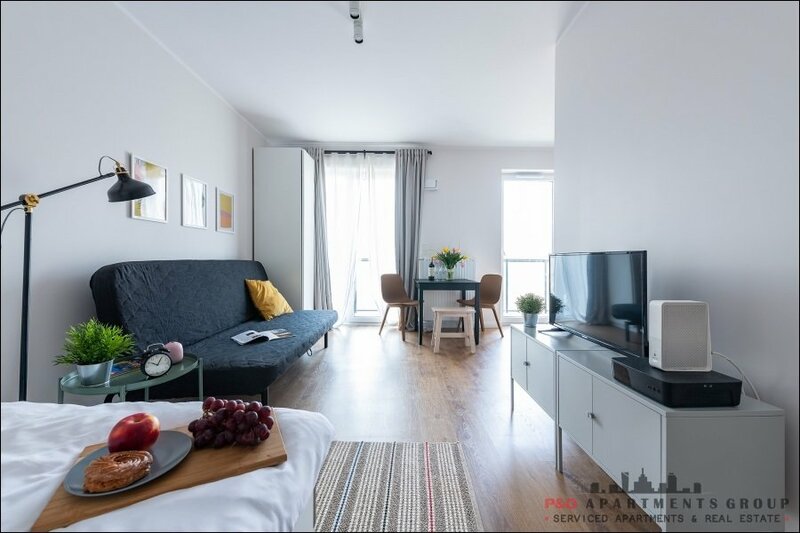 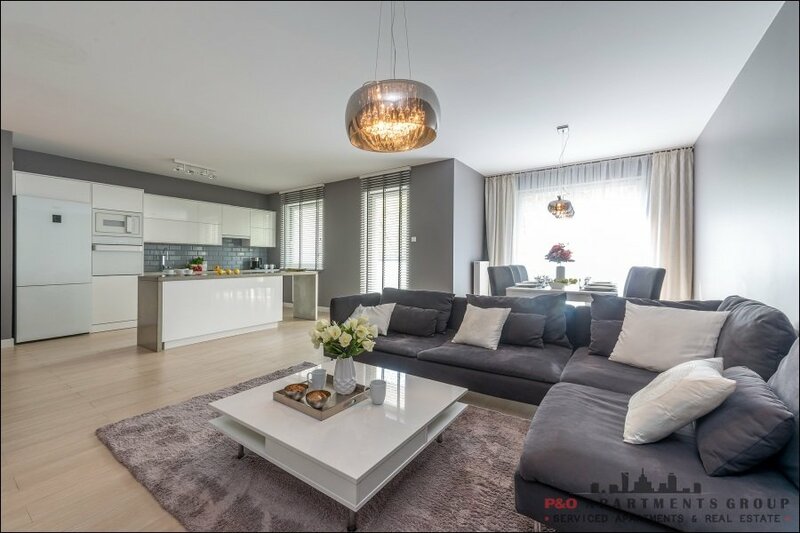 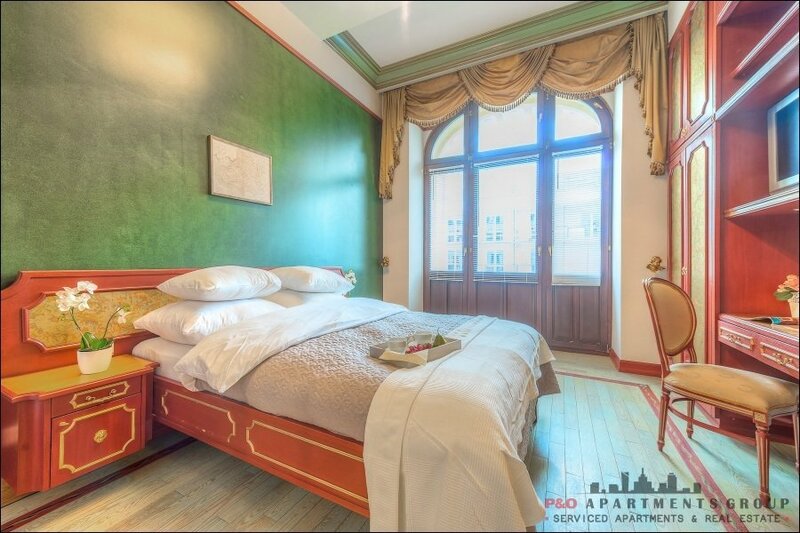 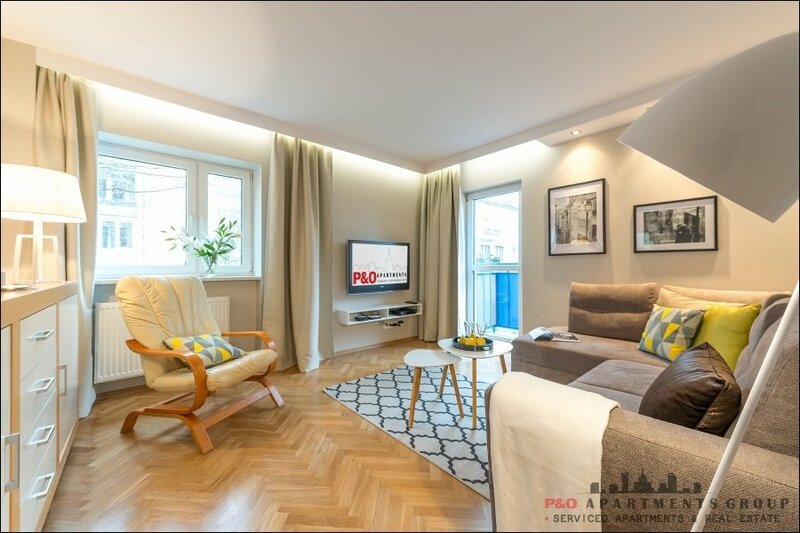 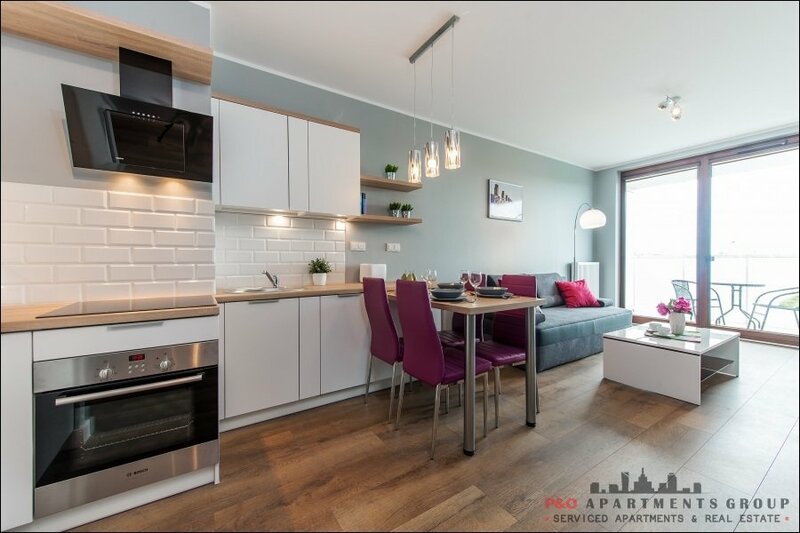 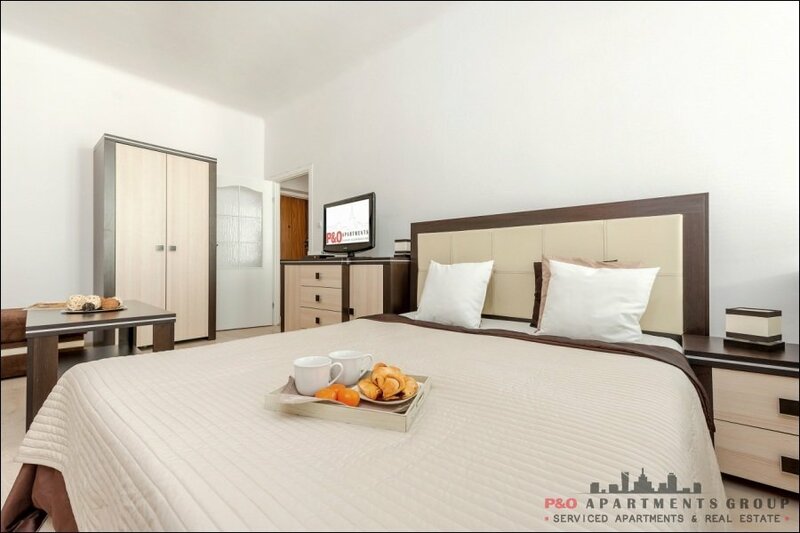 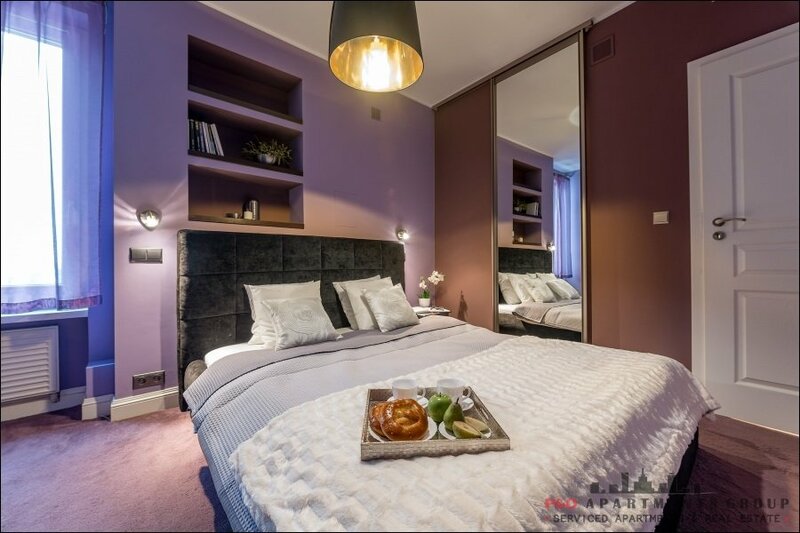 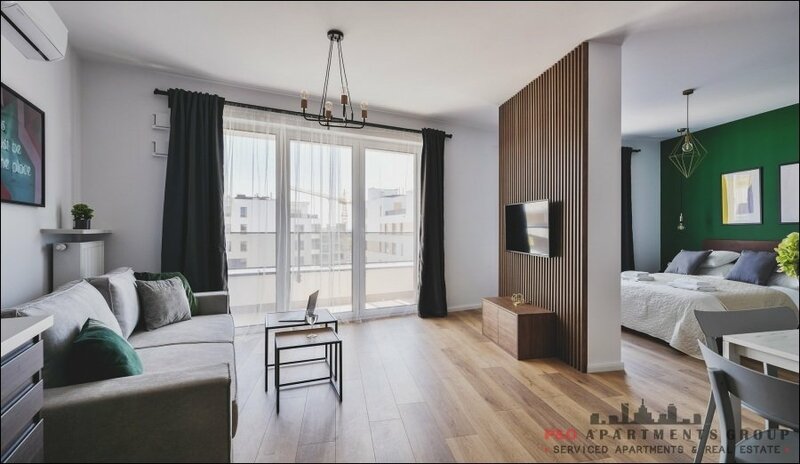 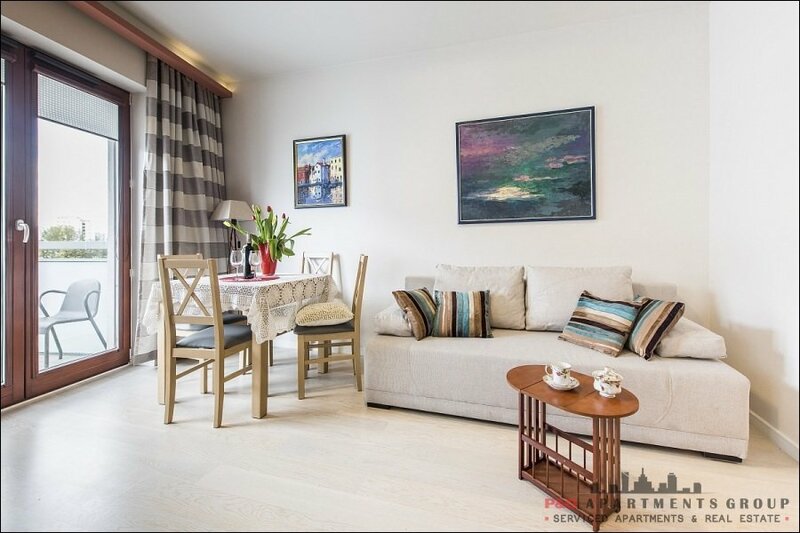 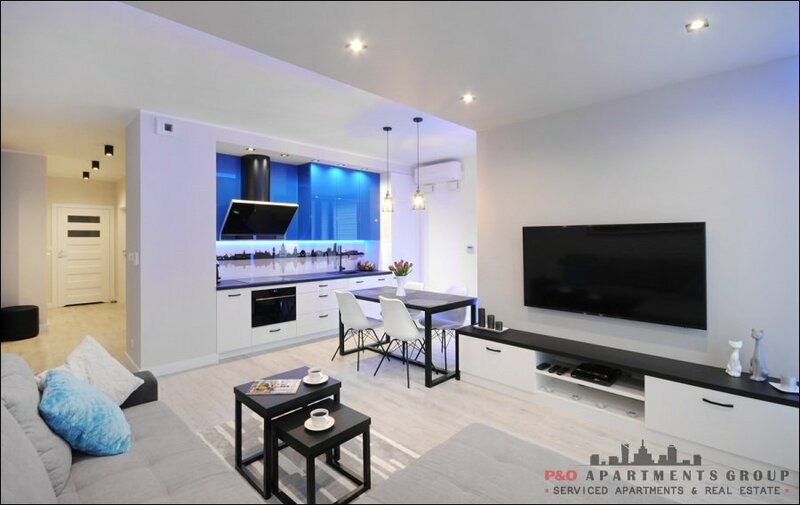 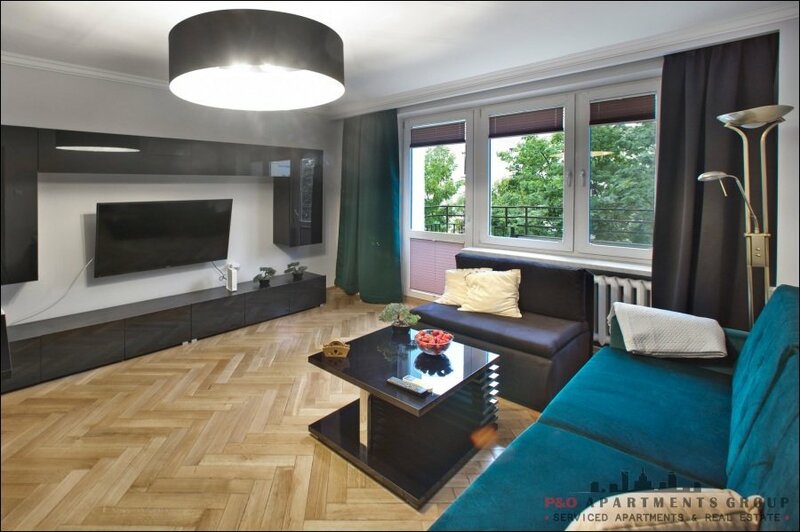 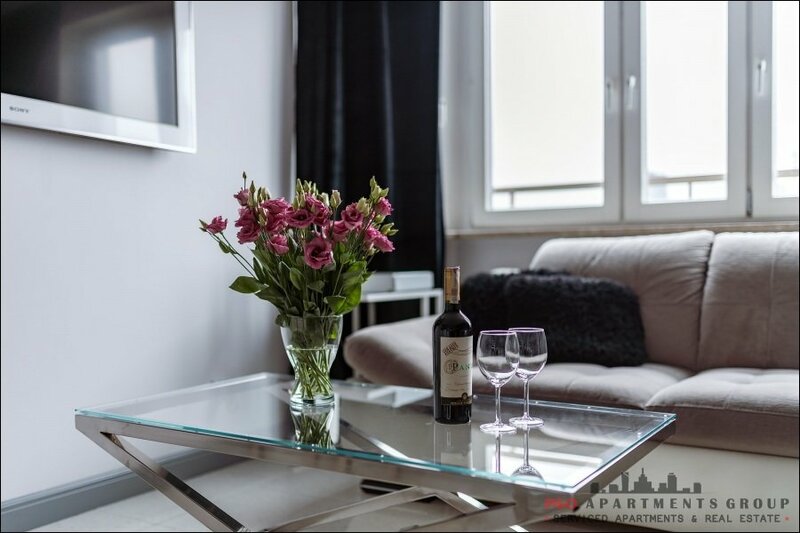 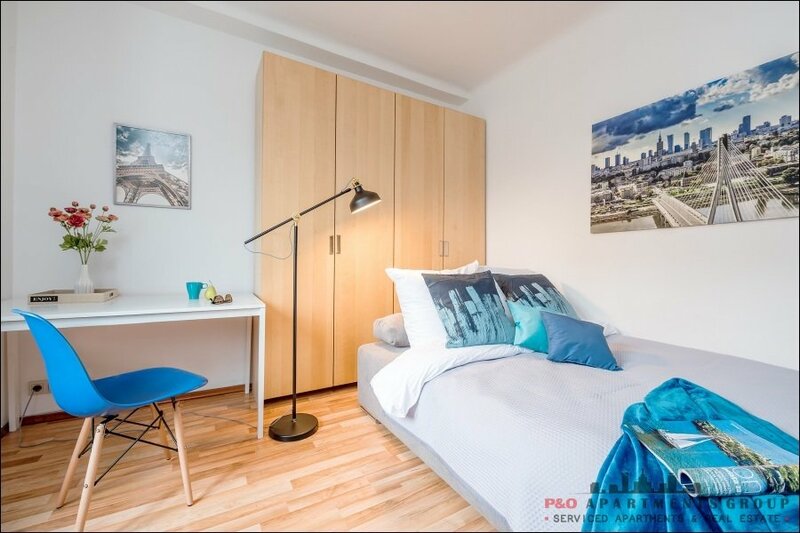 Luxurious apartment, designed by an architect, located at Zakroczymska Street on the New Town, within walking distance of the New Town Square and public transport. 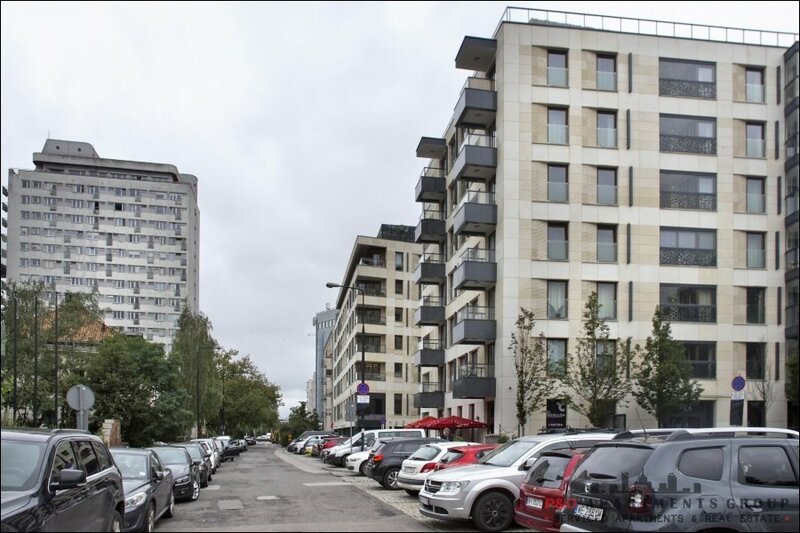 Secured parking nearby. 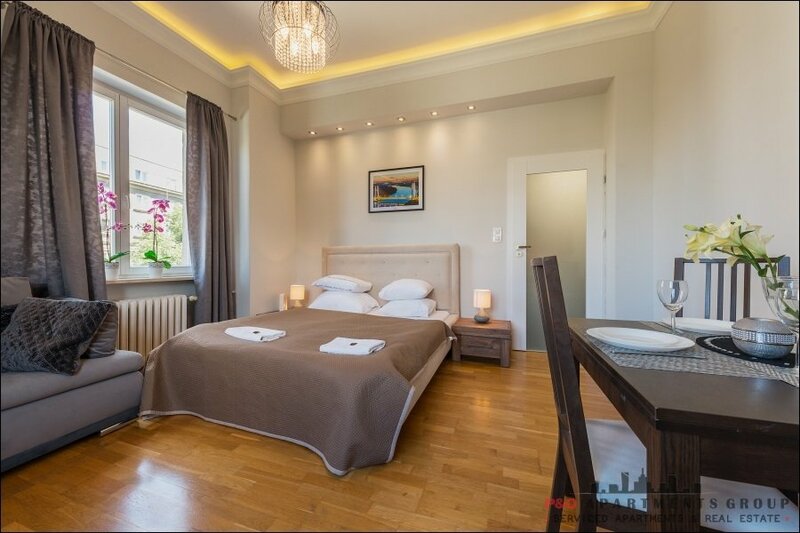 The bedroom has a large double bed and movie projector. 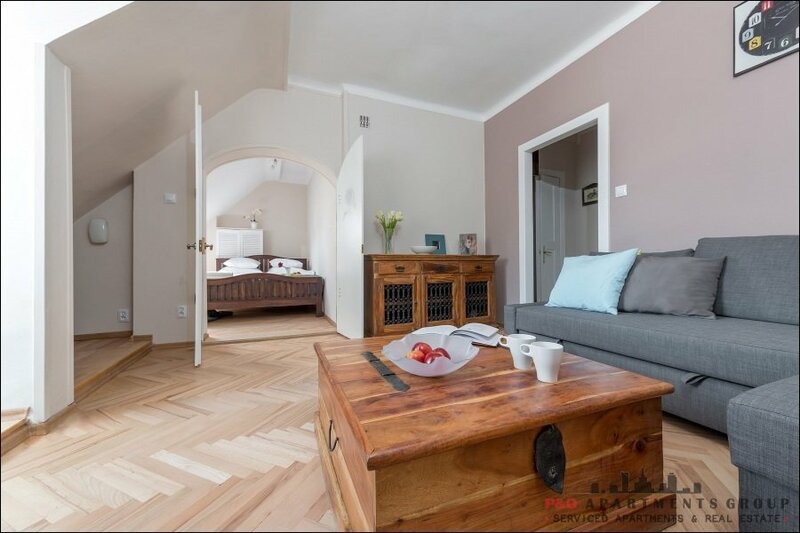 There is also a cable TV and Wi-Fi access. 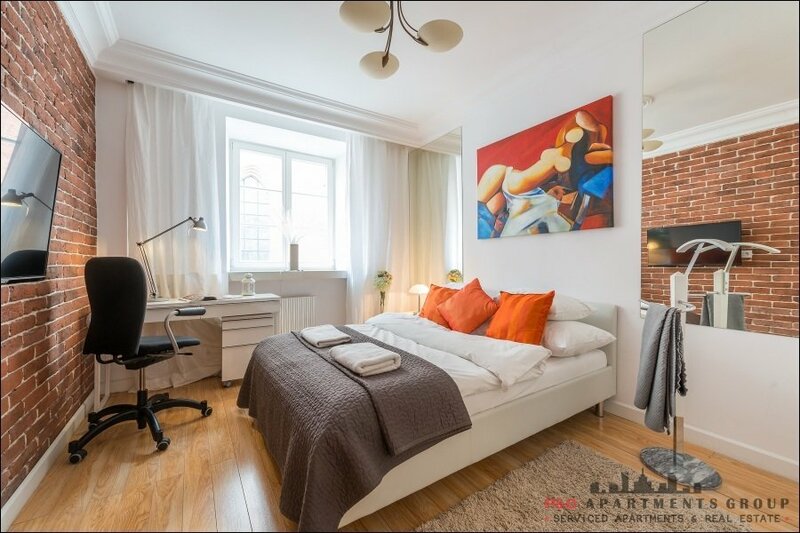 In the living room there are 2 chaise longues joined together, making a possibility to accommodate a third person after a previous agreement with the office. 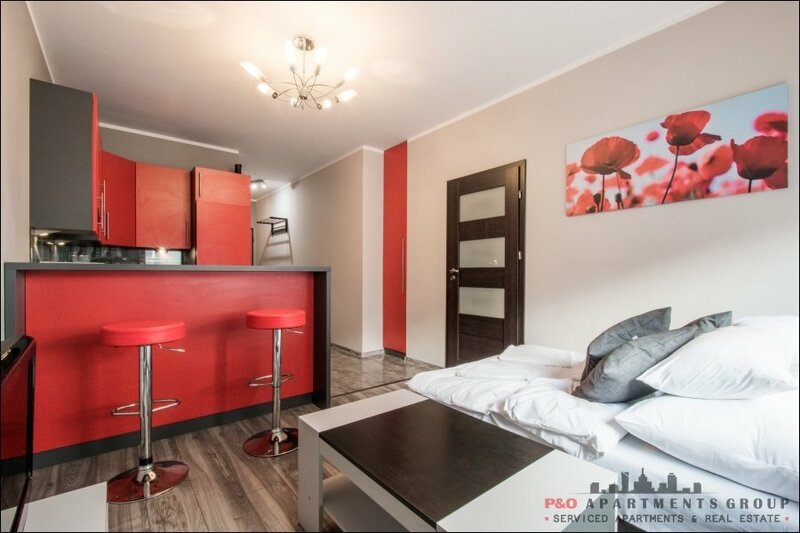 The fully equipped kitchen lets you prepare your own meals. 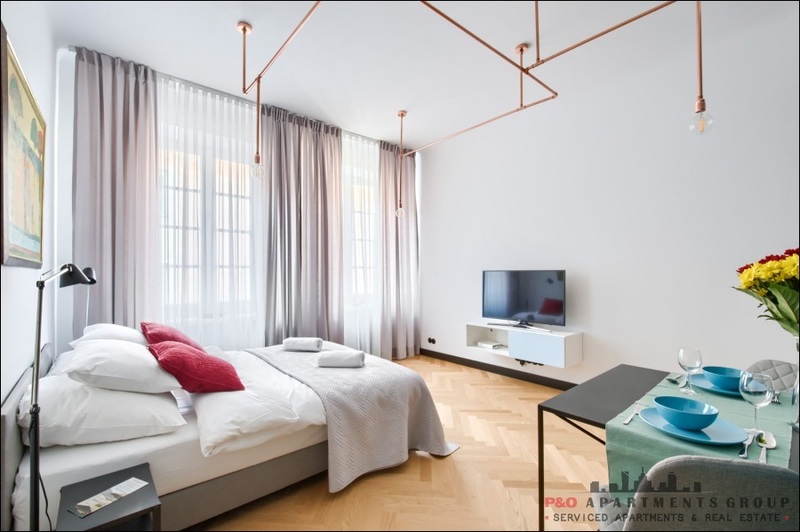 The bathroom also was designed with an intelligent solution, with a rain shower. 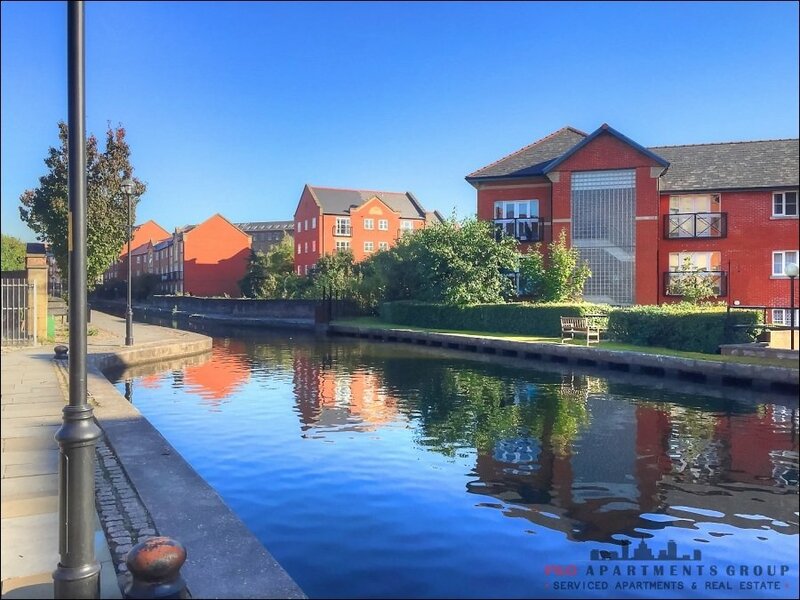 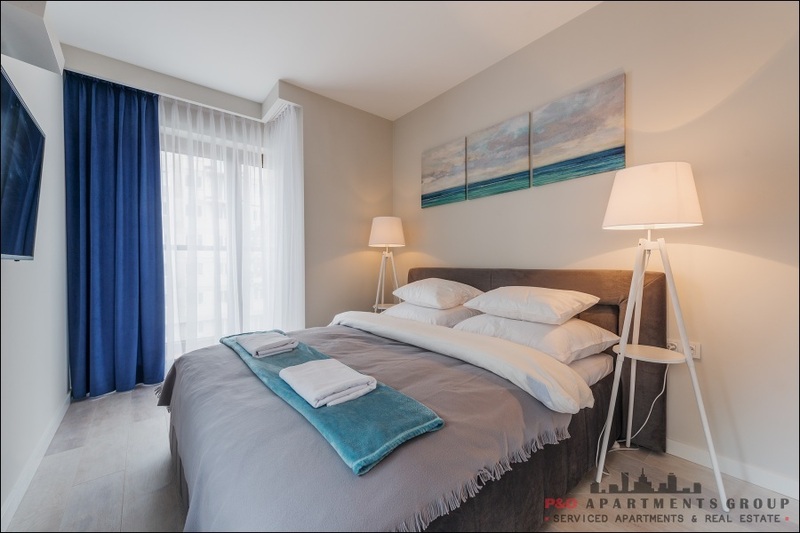 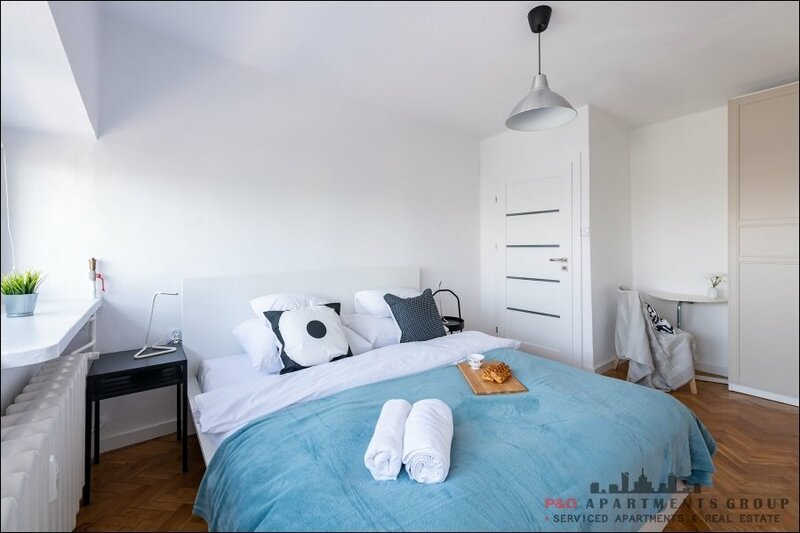 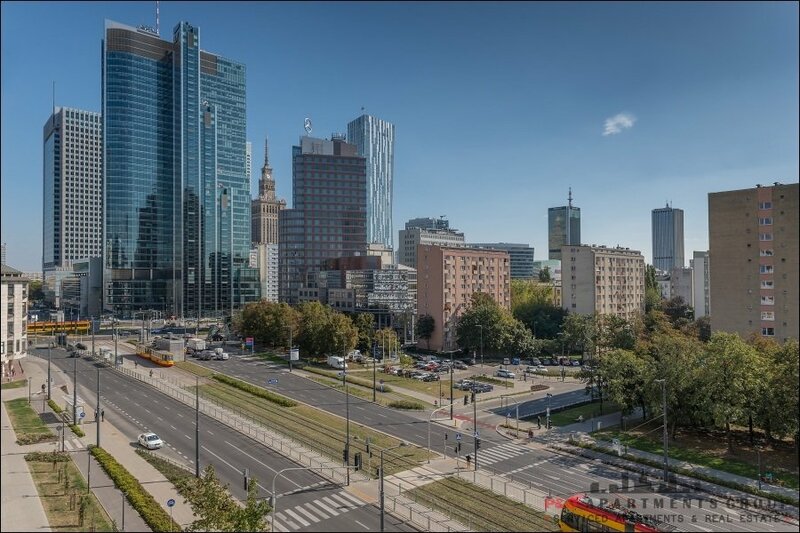 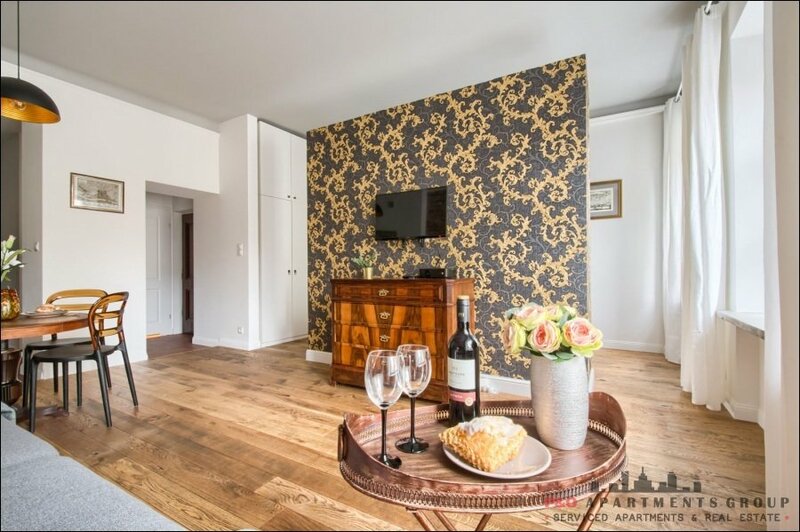 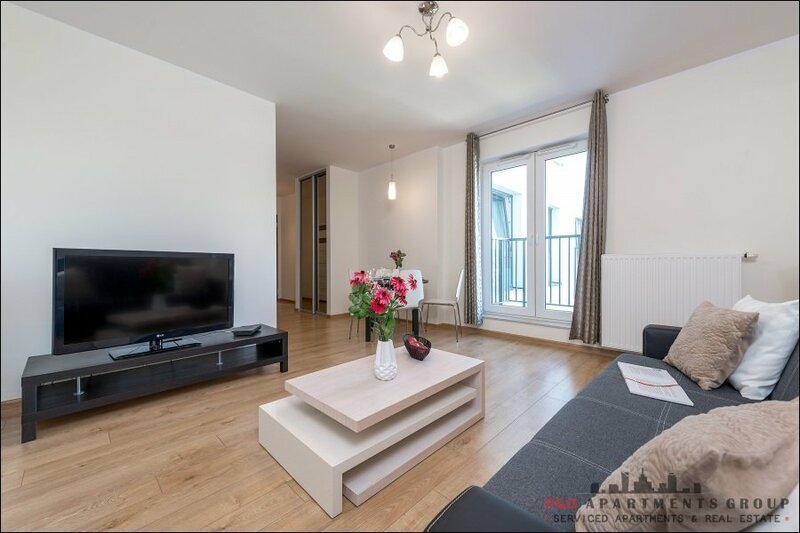 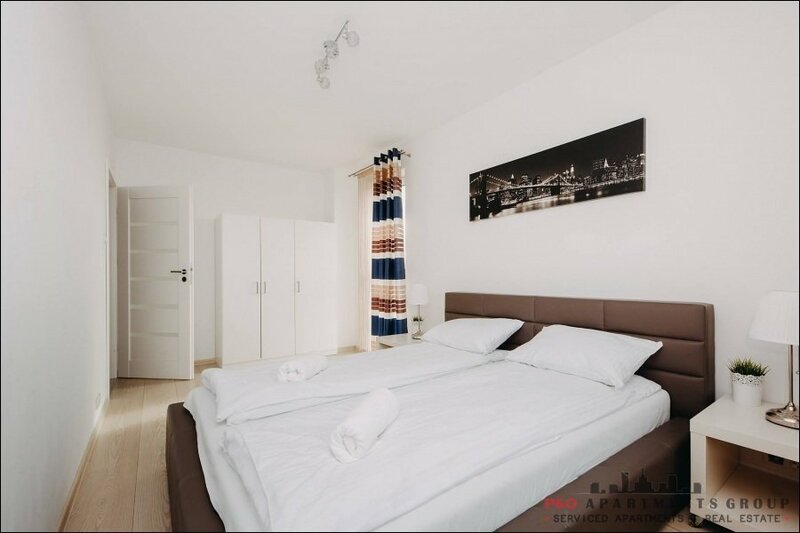 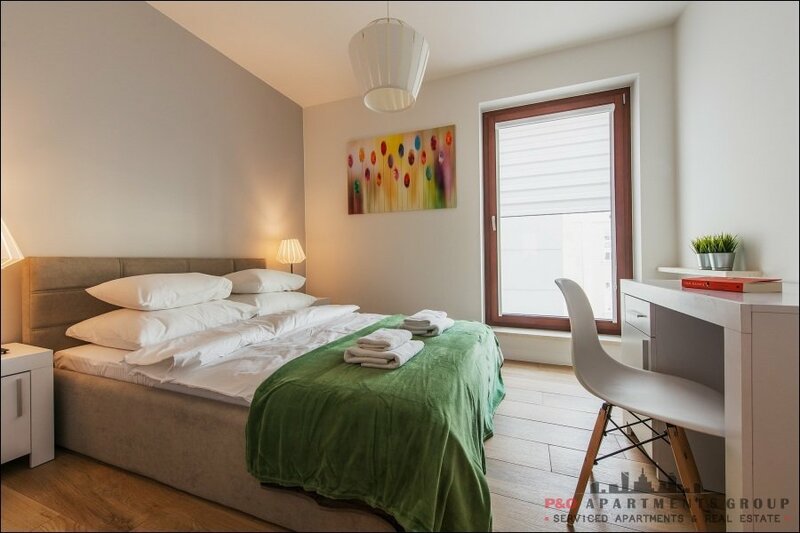 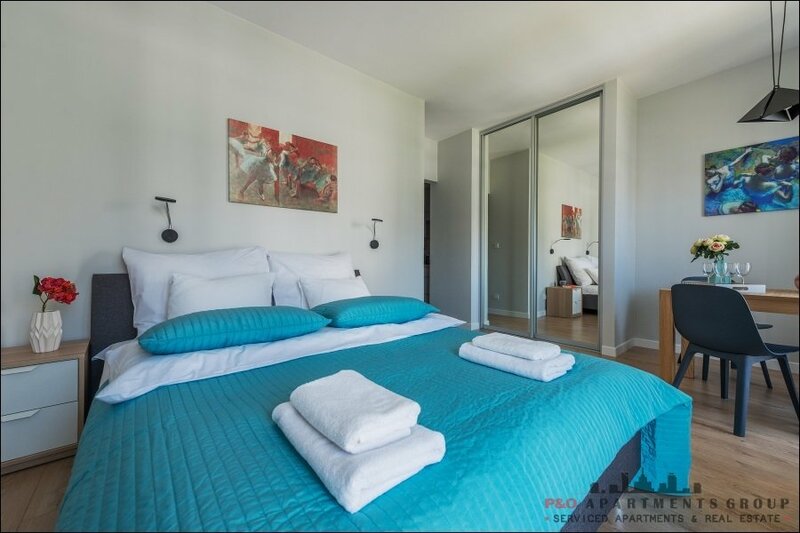 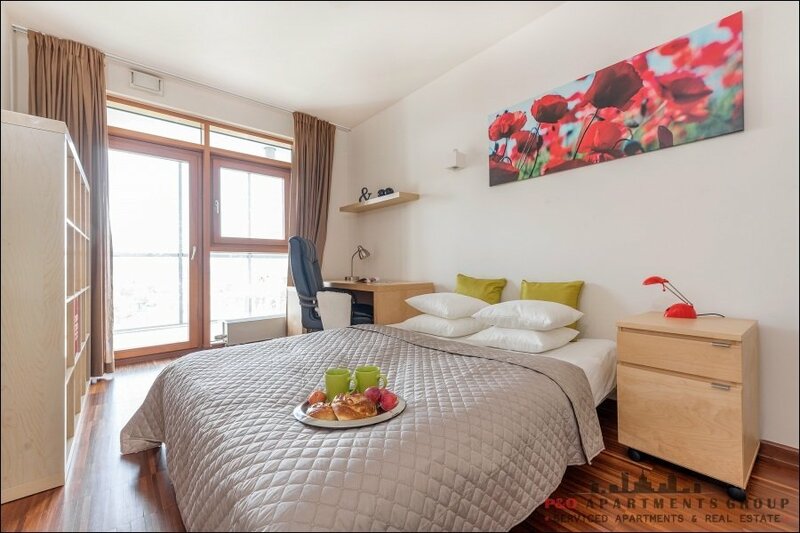 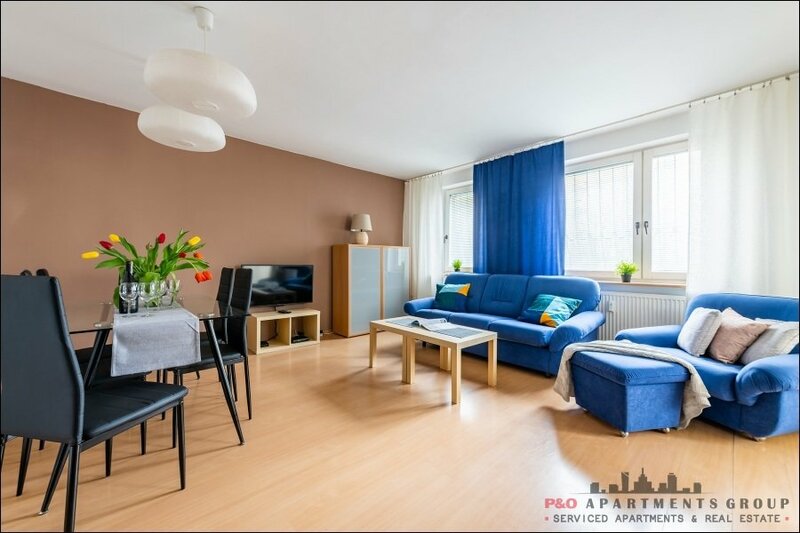 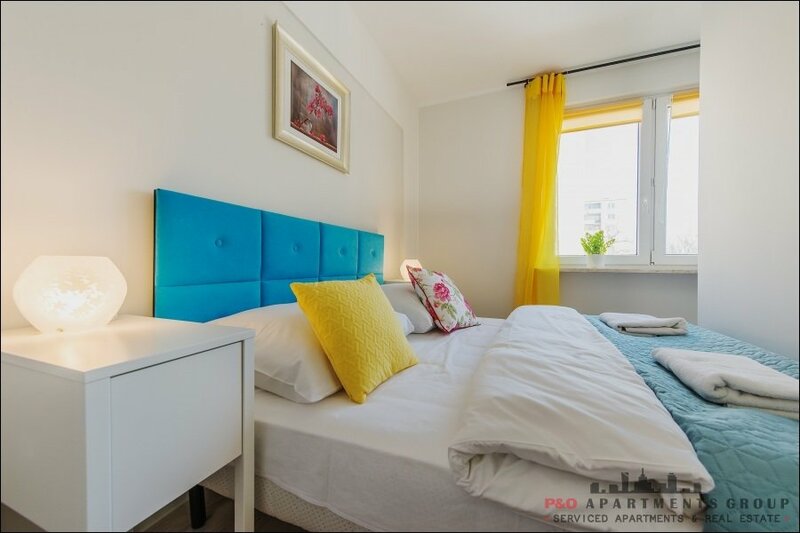 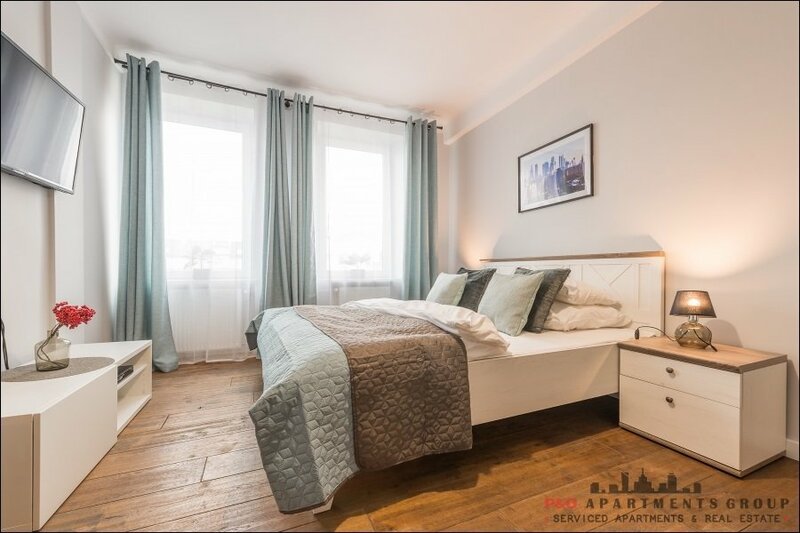 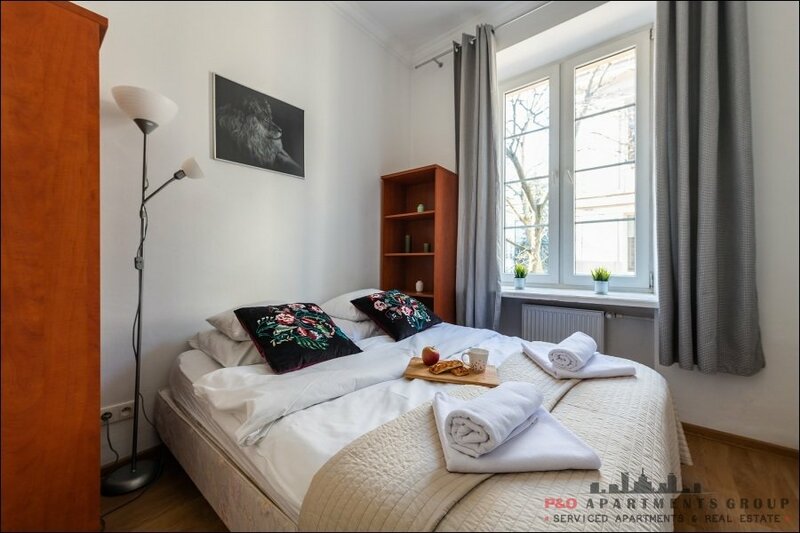 Three minutes walk to the Old Town Square, close to the shopping center "Ardkadia", as well as many restaurants, shops and tourist attractions. 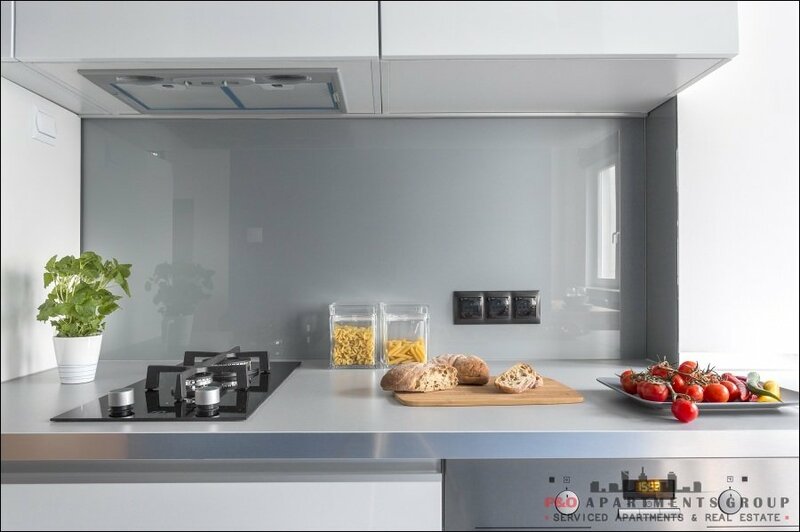 Kitchen: electric hob, refrigerator, dishwasher, electric kettle, cutlery and dishes, dishwasher, oven. 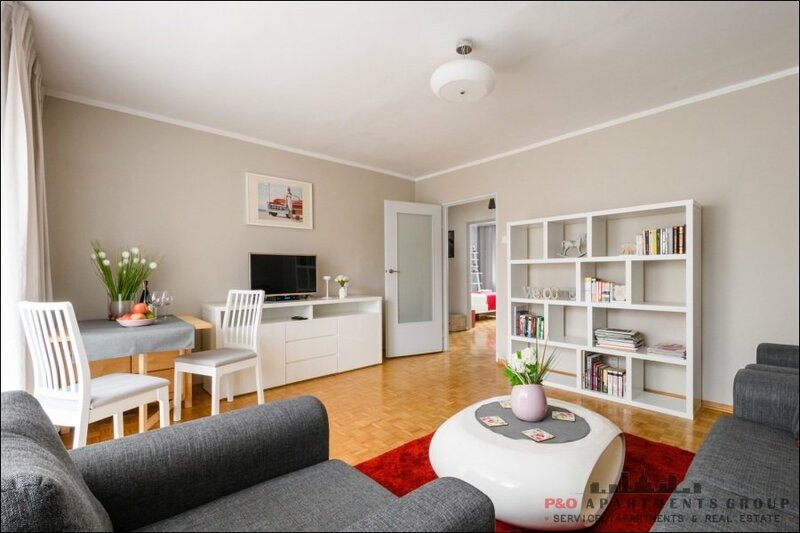 Living room: table and 4 chairs, 2 chaise longues. 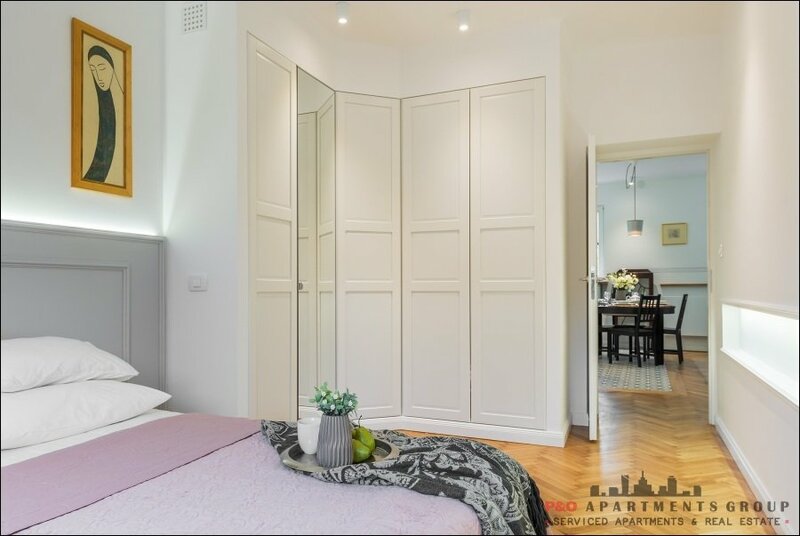 Sleeping: double bed, wardrobe, projector. 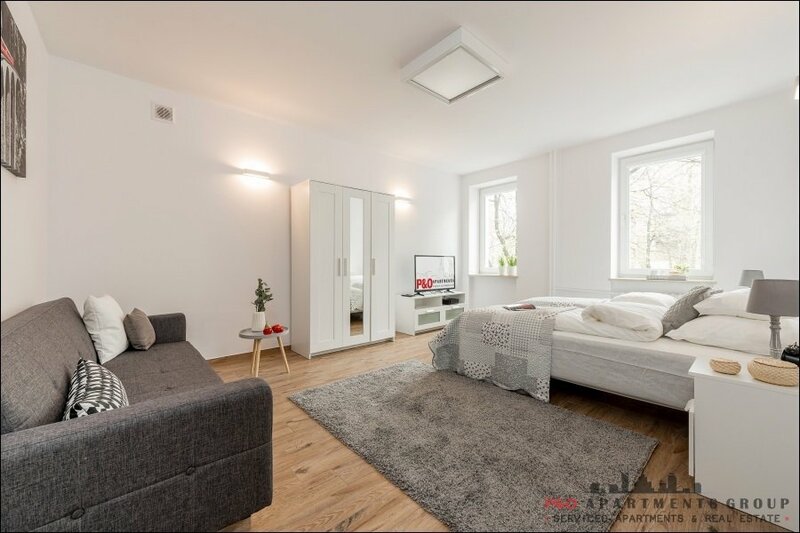 Bathroom: rain shower, sink, toilet, washing machine. 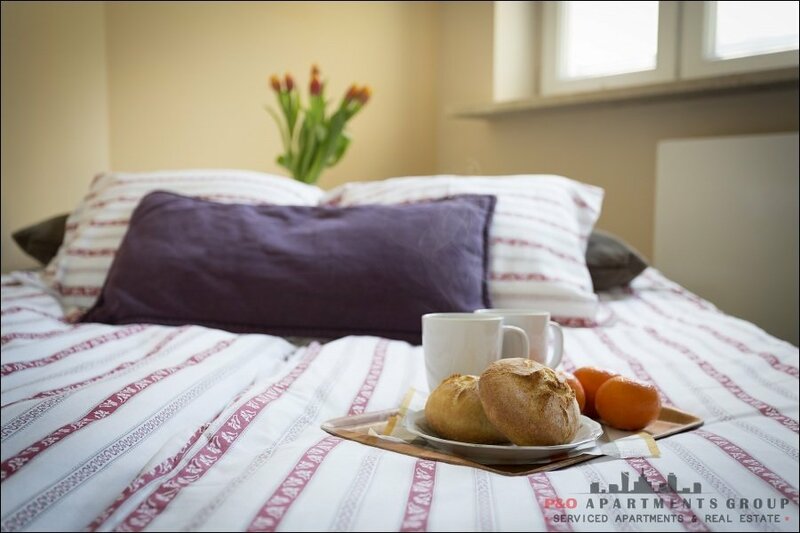 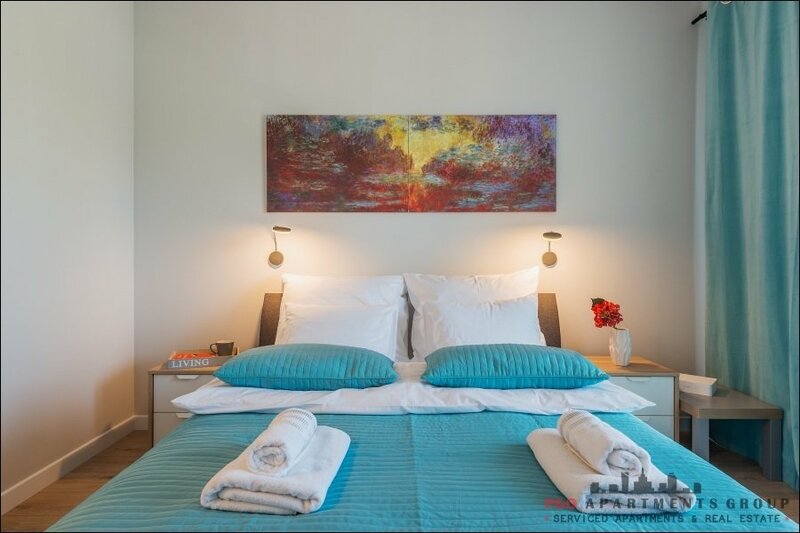 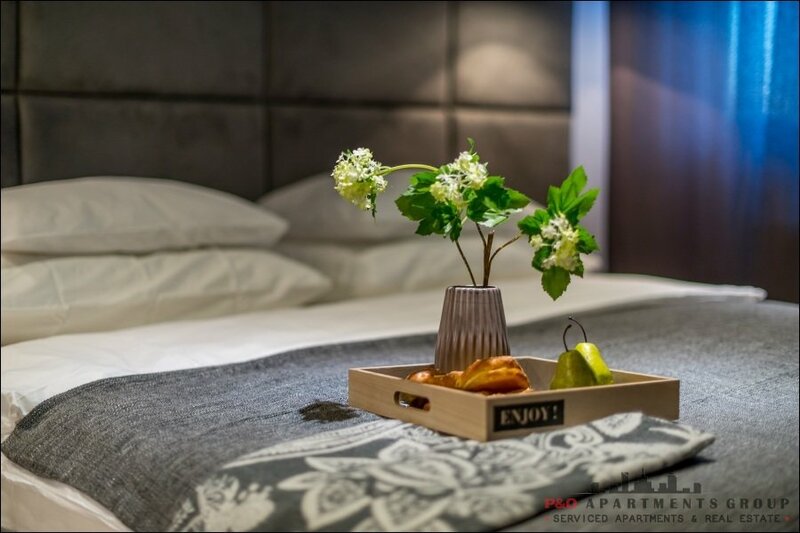 The service includes bed linen, towels and basic toiletries.